Spring collections are hitting stores soon, and colorblocking is still a major trend. We found this great option from the Gap for our lastest edition of Cheap & Chic! 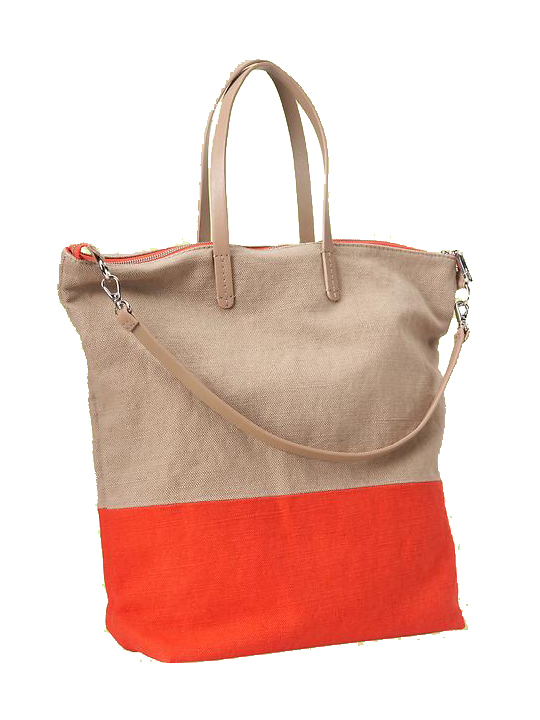 This tote is the perfect size and a fabulous addition to your everyday wardrobe. It's simple chic design is perfectly balanced with the bright orange accent. We can't believe it's under $50!